To hear Michael Albano remember the past and plan for the future, how he revived the city and is the most qualified sheriff candidate statewide, it almost feels believable. Even thirteen years after he left 36 Court Street, one can see how the intense ex-Springfield mayor and current governor’s councilor glides around criticism and charms doubters. Enough truth hangs on his claims to make them plausible. But ultimately popular perception and the course of history are likely prevail. Albano may have achieved some redemption in his election to the governor’s council in 2012—even that is not immune to his grandiosity—but the big prize for him now is sheriff. However, he is running against not only Councilor Thomas Ashe and jail assistant superintendent Nicholas Cocchi, but the legacy he left behind in the city he governed from 1996 to 2003. 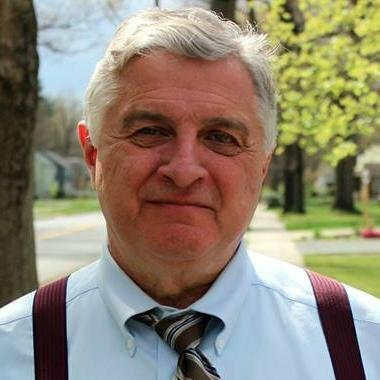 “Michael Albano is going to save lives in Hamdpen County,” he said in a recent phone interview, a reference to tackling the opiate crisis. Both of his opponents have pledged to address it too. In some ways Albano has been able to keep even with Ashe and Cocchi, spending about equally in the three-way war on the airwaves. Beyond that, however, there is little campaign to see. Ashe and Cocchi both have far more boots on the ground and money going into direct mail and data. As a sheriff candidate, Albano has made populist appeals on the Western Massachusetts Correctional Alcohol Center (WMCAC)—keep it out of neighborhoods—and correctional officers’ grievances. But he has also clubbed the administration of Sheriff Michael Ashe throughout the campaign. Critiques have run from the WMCAC relocation process to more general derelictions in duty. During a riff on mandatory minimums, Albano said Massachusetts would abolish them if the sheriffs were lobbying against them. These strong opinions jive with Albano’s position that sheriff is primarily a political gig. Albano said it was the sheriff’s job to travel to Boston and Washington and lobby for funds and use the office as a platform to advocate on issues. On that basis, he argued his political background made him more qualified than not only his opponents but any sheriff serving today. “It’s a perfect fit. It’s a diversified experience,” he said. “I’m not just talking about this race, but across the commonwealth.” Albano said many sheriffs serving today were former legislators or communication staff such as Suffolk Sheriff Steve Thompkins. When challenged with the observation that voters in Hampden County had moved toward candidates with experience in the offices for which they are running, Albano conceded the point—on some jobs. Of course, in this race, that is the minority view. Cocchi has followed the professional versus politician script. Ashe has emphasized his resume in sheriffs’ departments with political experience as a complement, not the overarching qualification. Nor is it clear that voters will agree with Albano, having voted for individuals with experience in their offices in every open countywide election since 2010. Reflecting on what drew him into the race, Albano’s ambitions and perspective seemed more earthly. Though he had registered his sheriff campaign site shortly after his governor’s council election in 2012, he said he did not make a decision to run until the Fall 2015. He begun to speak to correctional officers—a majority (of those who voted) later endorsed him—to get a sense of happenings in the jail. “Every political person thinks of different offices from time to time,” he said, reflecting on seeking higher office. But Albano seemed almost in denial about the challenges of actually winning. The collapse of Springfield’s finances, documented most recently in The Republican, cast a huge shadow. He refused, sometimes clamorously, to even contemplate Hampden County residents, especially suburbites, might balk at putting him in charge the sheriff’s department considering his mayoralty. Echoing remarks he made to The Republican, he insisted he had relieved the city of $30 million in debt and balanced the budget every year even as city and state officials approved those budgets. But reporting in the paper last month—and 10 years ago—showed these claims to be complicated, but illusory. On paper, as required by law, budgets were balanced, but free cash accounts ran deficits. Budgets assumed all taxes were received, but in fact millions went uncollected. Springfield piled on debt. When asked about the $50 million deficit—a $30 million gap in the budget, plus an unbudgeted $20 million payment due during the same fiscal year—he handed off to Charles Ryan in 2004, Albano disputed the number. Contemporaneous press accounts confirm the figure. 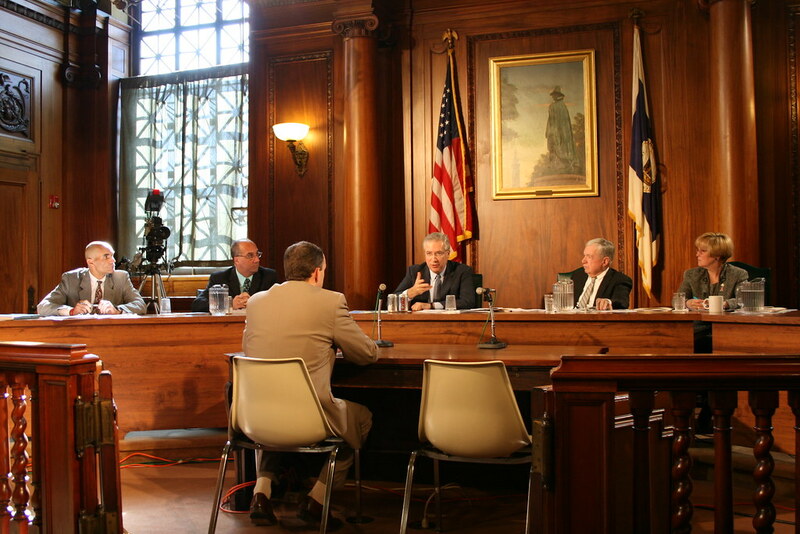 The legislature imposed the Finance Control Board later that year. Despite repeated attempts, Albano would not even countenance the need to overcome doubts about the Springfield he governed. Instead he declared, in almost Trumpian fashion, how he was elected to the governor’s council despite this political infirmity. Moreover, he had triumphed over a member of the “one most prominent families in Western Mass”—the Sullivans of Westfield. There was little time in the interview—on WMassP&I’s part—to discuss the race. But that may not matter. Both Ashe and Cocchi have vulnerabilities in the race, but none of them stand so prominently in popular perception, whatever the facts, as Albano’s. Among some city residents, Albano’s version of history is true. They remember streets swept and a lively(ish) downtown. Beneath the surface, the finances were creaking and bars and restaurants dependent on city largesse. FBI stats show some declines in crime, but it fluctuated at best (overall Springfield’s crime has fallen since 2003, in line with national trends). There might be fewer reasons to doubt Albano if he owned up to his role in Springfield’s tumble. He had a comeback to be sure, but did he experience true redemption? Usually, however, that requires contrition. On Thursday, it will be clearer whether voters agree.